A Complete Mega Pack for all the countries in the World. 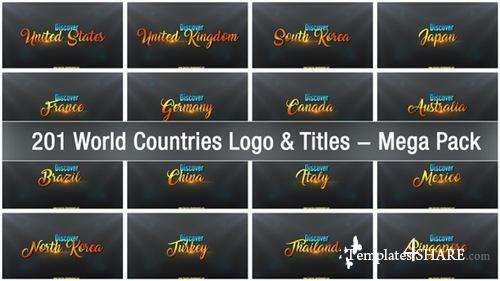 Unique Title Opener / Logo Opener for all the countries in the World with specific accurate country maps. Select the Country's After Effects Project, edit text/replace logo and render. All Country maps included in the project. 201 Countries included in the project. 4 versions for each country.